Dr. Girdhar J. Gyani is currently the Director General for the Association of Healthcare Providers in India (AHPI). AHPI is a conglomeration of practically all healthcare providers working closely with the key stakeholders i.e. the Government and the Society to realise the Universal Health Coverage. Its mission is to build capacity in Indian health system with focus on patient safety and affordability. Prior to this, Dr. Gyani was Secretary General of Quality Council of India (2003-2012), an apex national body responsible for establishing and operating national accreditation structure and promoting quality in all walks of life. Dr Gyani introduced a number of measures, integrating quality into regulatory framework in the areas of education, healthcare, environment, industry and public services, which are known to have resulted in to good governance practices. SME World Magazine, in its cover story of June 2012 issue, described him as Quality Man of India. Dr. Gyani has been instrumental in formulation and operating of National Accreditation Board for Hospitals and Healthcare Providers (NABH), for the first time in the country. He was Principal Coordinator in the development of accreditation standard for hospitals and getting it accredited by International Society for Quality in Health Care (ISQua). Dr Gyani functioned as founder CEO of NABH until July 2012. During this period, about 200 leading hospitals in the country got accredited, providing boost to medical tourism. Dr. Gyani persuaded a number of state governments in improving quality in public health establishments including about 100 district hospitals through capacity building measures. This includes states like Gujarat, Kerala, Tamil Nadu, Karnataka and NCR Delhi. This has resulted in much needed improvement in patient safety indicators in these states. Dr. Gyani has distinction of serving as elected director on board of International Society for Quality in Healthcare (ISQua) for 4 years from 2009 to 2013. Dr. Gyani is presently the surveyor for ISQua international accreditation program. 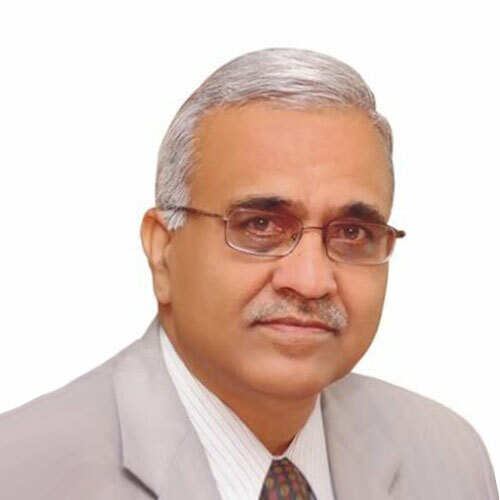 Dr. Gyani was nominated member of academic council of Medical Council of India (MCI) during 2012-13, with a view to facilitate objective assessment of medical colleges. Dr Gyani is very widely travelled, which has helped him to assimilate best practices from other countries. He has been popular speaker on Quality in healthcare at large number of the international events. He is recipient of numerous awards and recognitions including; ‘16th Lal C. Verman Award’ in year 2002 and ‘Rotary Centenary Award’ in year 2004 for Excellence in the field of Quality. He was bestowed with ‘Lifetime achievement award’, jointly by DRDO, Vivekananda Yoga University and Foundation for Quality in January 2015, for innovating quality for National Well Being. Consortium of Accredited Hospitals (CAHO) bestowed on him the ‘Lifetime Achievement Award’ during their annual conclave in March 2016. Healthcare Executive magazine in its January 2015 issue complimented him as ‘CHANKYA of Quality’.